We want our food, and we want it fast. If we have to wait more than five minutes for our food to heat, most of us would rather use that time to order a pizza. If you depend on your microwave a lot, you need it to be ready every time a craving sets in. Don't to worry, GSR Co. appliance technicians are available all the time, and can get any microwave up and working as fast as possible. 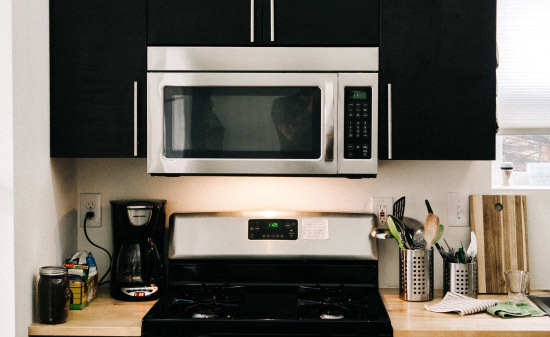 At GSR Co., you get an affordable price, a warranty-backed repair, and quick service that you can trust and depend on, to make sure your microwave is ready for the future. Why doesn't my microwave heat? When your microwave is not heating properly, a diode or magnetron problem may be present. GSR Co. microwave technicians know how to get your microwave up and running in no time. Why do the microwave buttons not work? GSR Co. repair technicians have the appliance knowledge to diagnose almost any microwave malfunction and fix it quickly and dependably. Don’t see your problem above? Don't worry there’s a good chance GSR Co. can fix it anyway! Call us today for a free quote and find out if our expert appliance technicians can assist you. Here are just a few of the brands GSR Co. microwave repair is familiar with. we can still fix it. Call today for a free quote and chances are our expert appliance technicians have the knowledge and experience to fix your brand quickly and affordably.